Brest Shore Excursion, port of coast of Brittany, France. 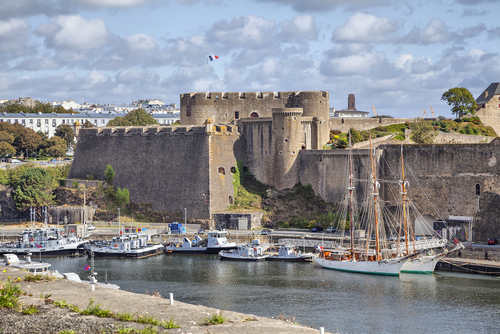 Standing on the coast of Brittany in the north-west of France is the port of Brest which has a rich maritime history. Over the centuries the city has been settled by numerous civilisations including the Celts, Romans, Saxons, Franks and Normans. During the Second World War the port became an important German submarine base which was heavily bombed by Allied forces at the Battle for Brest in 1944. As a result most of the city was destroyed and had to be rebuilt in the post-war years. Nowadays Brest is a city which is better known as the home of the country’s second largest naval base than it is as a tourist destination. Other than Brest Castle and the Tanguy Tower, few historic monuments survived the Second World War so many cruise ship passengers arriving at the port choose to head out on shore excursions. Some nearby highlights which are accessible on official tours or by public transport include the historic Breton towns of Quimper and Morlaix. The Port of Brest is home to one of Europe’s finest natural harbours which has served as an important naval base since the 17th century. Cruise ships visiting the port dock about 2km from the city centre. Shuttle buses are usually made available for getting into the city centre or visiting the Océanopolis aquarium. 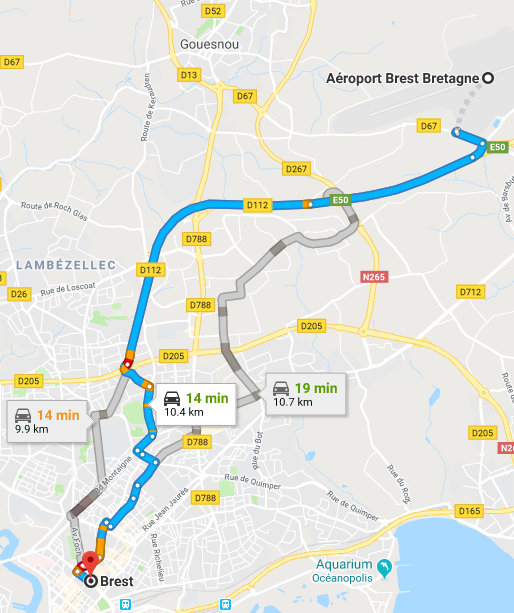 Passengers travelling independently to other destinations in Brittany by train will need to make their way to Gare de Brest (Place du 19ème Régiment d’Infanterie) which lies just east of the city centre. 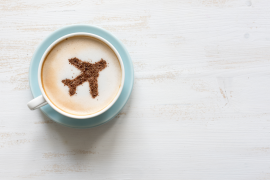 Cruise ship passengers who are flying to France to meet a ship in Brittany will most likely be travelling through Paris then taking a connecting service to one of the region’s airports. 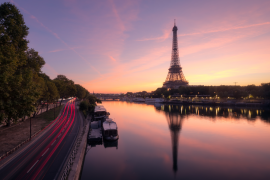 Shuttledirect offer airport transfers from Charles de Gaulle Airport to hotels throughout the city. The nearest airport to Brest is Aéroport Brest Bretagne which lies just 10km north-east of the city centre. Unfortunately, there are only a small number of mainly seasonal flights arriving at this regional airport. A frequent shuttle bus runs from the airport to Place de la Liberté and the Gare de Brest train station in the city centre. Taxis are also available from the airport for local transfer services. Aéroport Nantes Atlantique which lies around 300km to the south-east. In the aftermath of the Second World war Brest emerged as a lively, modern city with little remaining of its Breton roots. On the eastern bank of the Penfeld River in the heart of the city is the Château de Brest which was one of the few structures to survive the War. 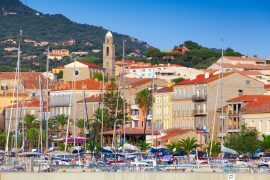 Today it houses an impressive Maritime Museum which displays exhibits dedicated to French naval history over the centuries. Across the river from the castle is the Tour Tanguy which is the city’s only other significant building which survived World War II. Built during the 14th century, this tower is now home to a museum where visitors can see a series of models showing what the city looked like before the War. Strangely, there is a single street near the river called Rue de Saint-Malo which was the only one in the whole city which survived the Allied bombing in 1944 so visitors can see some pre-war architecture. Lunchtime Tip: If you decide to stay in Brest during your day in port you really should head for a ‘crêperie’ for lunch. These places serve a selection of both savoury and sweet crepes which are considered a regional speciality. Highly regarded is Crêperie La Chaumine (16 Rue Jean Bart) which serves a fine range of crepes including some seafood options. The main tourist attraction in Brest is Océanopolis (Port de Plaisance du Moulin Blanc) which is one of Europe’s largest aquariums. It lies 5km east of Brest Castle and can easily be reached by bus from the harbour. The city’s Botanical Gardens (Rampe de Stangalard) which lie 6km north-east of the castle are also highly regarded. Beyond the surviving historic attractions and the aquarium, there’s little in Brest to detain visitors so many cruise ship passengers arrange shore excursions to other places in Brittany. Heading north-east from the port leads to the beautiful town of Landerneau (23km) which is famous as home to the 16th century Pont De Rohan. This is the only bridge in Europe which still has people living on it. A further 38km leads to the delightful town of Morlaix which is a traditional Breton settlement centred on a Roman aqueduct. 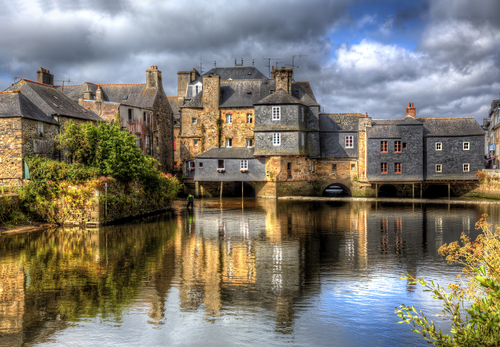 Some 53km south-east of Brest by road is the lovely town of Landévennec which is surrounded by waterways and is best-known for its medieval Abbey. A further 50km to the south leads to the historic town of Quimper which is one of the top tourist destinations in Brittany. Whilst its main tourist attraction is the 13th century Cathédrale Saint-Corentin the whole town is a delight to wander around. From Gare de Brest there are regional train services to Landerneau, Morlaix and Quimper but they aren’t always convenient for cruise ship passengers who are only in port for a few hours. 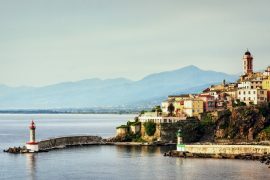 Therefore, it’s a good idea to check out whether cruise lines or private operators are offering itineraries which include a selection of these destinations.